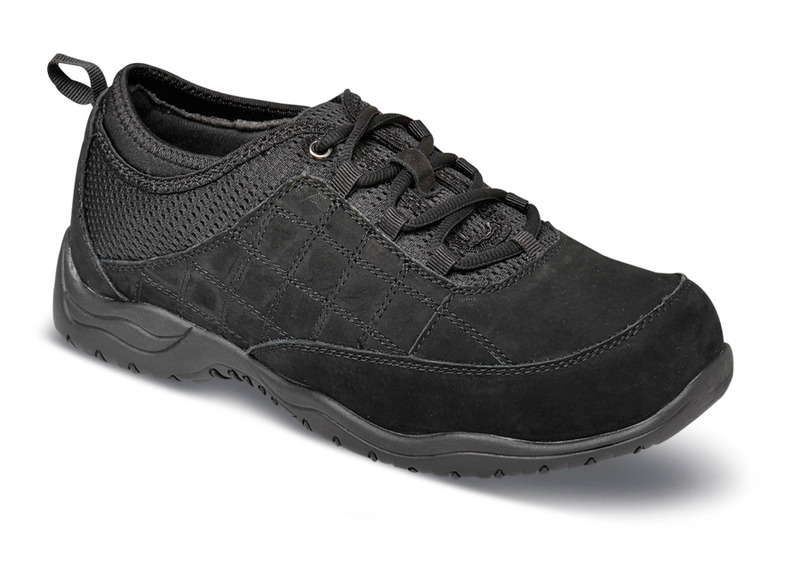 The black "Lisbon" therapeutic shoe shoe from Drew tie shoe has uppers of quilted nubuck and stretching nylon. 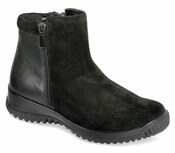 It is made with the Plus Fitting System's added depth and dual removable inserts. The removable polyurethane footbed it topped with moisture-wicking Dri-Lex® and has extra cushioning at heel and metatarsal. Soft fabric linings. Tempered steel shank. Ultra lightweight slip-resistant polyurethane outsole. And they will accept prescription orthotics. Originally $164.95. Limited stock in women's 2E and 4E widths in sixzes indicated.